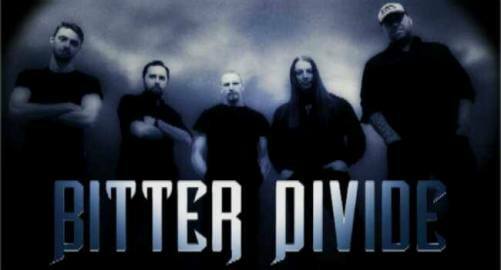 Bitter Divide are a reasonably new five piece Heavy Rock/Metal band from Hampshire in the UK. They formed in late 2012, and honed their songs and sound before playing their first gigs during the Summer of 2013. Since then they have gone on to amass a loyal following in the South of the UK and 'Out Of Reach' is their debut release, which was released at the tail end of 2014, and has very kindly been sent to me by the band's Press & Booking Agent Sarah Weller! 'Out Of Reach' is described as an album but that's probably stretching it just a little bit! At just 30 minutes with one track being repeated as an acoustic version it would be better off labelled as an MCD/EP. Of course, that's also me being picky which as you know I have a habit of doing! As always, what's important is the music and on that score I'm pretty damn impressed. 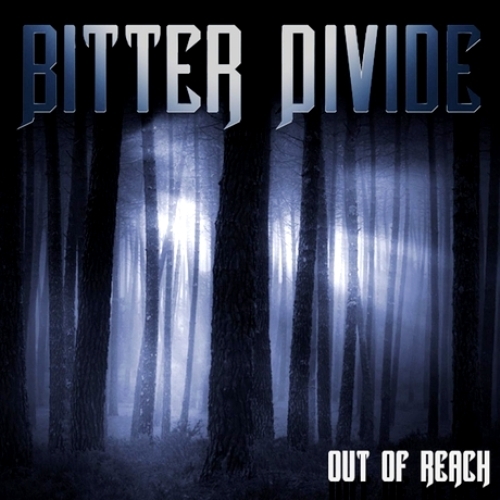 Bitter Divide have a very US Hard/Heavy Rock style in the vein of Black Stone Cherry, Alter Bridge, Velvet Revolver etc but with a slightly Metal edge and it works very well! Opener 'Can't Save You Now' is the perfect way to start. It's an uptempo stomper, full of hooks and melody and should easily have you nodding your head in approval by the end of the first listen. Following track 'Take Me Down' is slower but has the same amount of catchiness and Rock 'N Roll dirt running through its belly and the consistency is maintained pretty much in the same manner throughout the CD's all too brief running time! As mentioned, the title track appears twice and is a good indicator that Bitter Divide can adapt a song well into an acoustic arrangement. It's also worth noting that the main riff in the electric version bears a passing resemblance to 'Shot In The Dark' by Ozzy Osbourne. All five members of the band appear to handle their respective instruments very well with the vocals of 'Mojo' certainly taking centre stage but there is also some good guitar work from Si & Dave! Bitter Divide actually manage to mix up the genres very well and it's clear there are an array of influences present but they never sound out of their depth or unsure of where a song is going! It's also clear that all their gigging in the last 18 months has made them a very tight outfit! For a debut 'Out Of Reach' shows a tremendous amount of maturity & depth and as difficult as it is to succeed in the music business these days, I'm very much hoping that more than a few heads will be turned by this. If they can continue to gain momentum then they will definitely be a name to look out for in the not too distant future!